SATECH's elegant SmartCells Anti-fatigue products increase energy, comfort and productivity while preventing pain associated with standing. SATECH, Inc. announces an enhanced lineup of SmartCells anti-fatigue mats that add an elegant upgrade to it its highly regarded cushioning technology. 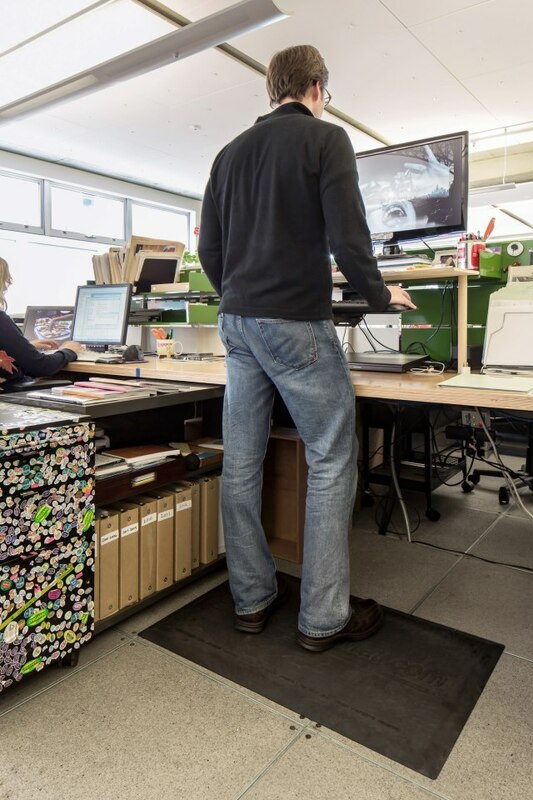 The same best-practice, anti-fatigue technology trusted in industrial environments by leading companies is now available to office workers and consumers for standing desks and in-home use. An ergonomically-designed anti-fatigue mat is an effective way to alleviate pain and fatigue associated with standing work. Producer SATECH, Inc. has provided a solution for standing desk users. SmartCells anti-fatigue mats provide an optimized compressibility that is stable and responds dynamically to subtle and overt movements of the body. Typical soft and squishy mats do not provide the right compressibility, are often unstable, and frequently bottom-out aggravating the very problems the users are seeking to solve with a floor mat. The new challenge standing desk users have encountered is not only finding the mat with the proper ergonomic design for their “standing” activities, but also finding one that looks good in an office or home environment. The enhanced SmartCells anti-fatigue lineup redefines comfort and blends the effectiveness of SmartCells renowned anti-fatigue mats with a professional /decorative style for office and in-home use. SATECH proudly offers three different tasteful and creative surfaces: classic, basket-weave and carpet-top. The mats are available in several different variations of color and size. SmartCells® cushioning technology consists of a rubber surface layer integrated with an underlying array of cylindrical rubber cells that soften in response to surface pressure to provide maximum fatigue relief. The SmartCells act like springs that cushion as weight is applied and then rebound when the weight shifts, which returns energy and reduces fatigue associated with standing. Remaining comfortable while standing up to "sitting” has never been easier with the addition of SATECH, Inc.’s online retail store in which consumers can view the different variations of SmartCells mats, learn about the technology, and determine which solution is the best fit for them. SATECH Inc. is a technology company that specializes in the development and marketing of SmartCells cushioning solutions that enhance performance, reduce fatigue and help prevent fall-related injuries. SmartCells mats and flooring have broad application in the industrial workplace, healthcare markets, and everyday consumer households. For more information, please call (360) 748-8711, visit http://www.smartcellsusa.com , or view the following video: http://www.smartcellsusa.com/about/videos/ . 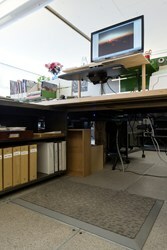 SmartCells 2X3 Classic Anti-Fatigue mat.SATECH, Inc.'s enhanced SmartCells Anti-Fatigue product line redefines comfort.